Friday's Super Solar Hero: Galaxy Pillar Column Mount Solar Light. 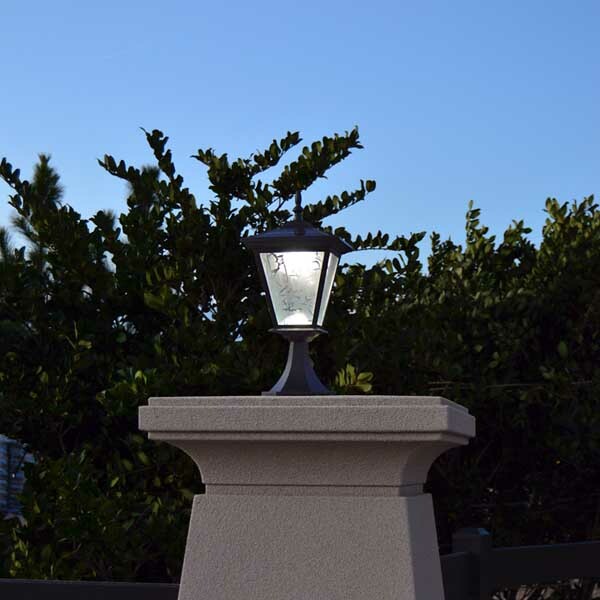 The GALAXY column mount solar light offers lots of light from a very small footprint. 4pcs of 1W top mount solar panels quickly charge the efficient Li battery. The light has a power switch for vacation mode. Automatically turns on at night and stays on for up 12 hours. Easy installation with only 2 screws. The base is under 7" wide, so it can mount onto posts/pillars as small as 8". Installs in seconds, brightens for hours, lasts for years. Order yours today!